I’m a coffee drinker. I love the smell, the taste, the pick me up I get…and of course the lifestyle that comes with drinking coffee. Thanks to my 15 year old son, I am becoming a bit of a coffee snob and have gotten used to drinking it made with a french press. Maybe it’s because I feel cool drinking it that way. Who knows. I just know I like it. A lot. I used to be a huge hot tea drinker. I remember it well. It was when we were stationed in Alaska and it was freaking cold. The kind of cold when you walk outside your eyeballs and the inside of your nose freeze. Have you ever felt that before? It’s nuts. (Oh Alaska…how I sometimes miss you.) I got into the habit of drinking a lot of hot tea. I liked coffee back then, but I had small children and a cup of peppermint tea just did something for me. I can’t put my finger on when it happened, but I stopped drinking tea and started drinking, a lot, of coffee. But I’ve decided to give it up. Not completely! But getting myself down to one cup a day. I’ll take all of those please! If you follow Dr. Oz at all. you know he’s a big advocate of drinking tea for its health benefits. 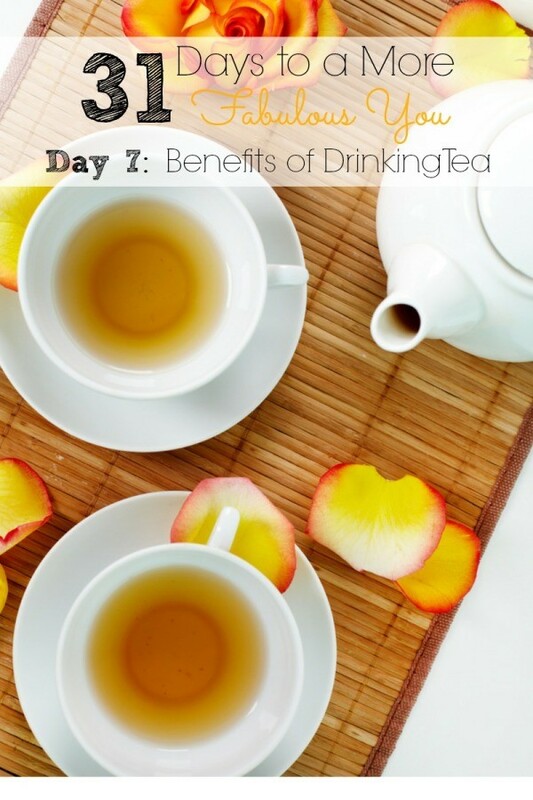 A few of my favorite tea related articles of his are where he debunks tea myths, shares three teas that will shrink your waist and lists health benefits of tea. I haven’t been drinking green tea consistently long enough to tell you differences I notice, but as soon as I do, I’ll share those with you. Do you drink tea? If so, why and what do you feel it does for you?